Teatro della Pergola - FLORENCE LIVE! The Teatro della Pergola is an opera house in Florence, Italy. It is located in the centre of the city on the Via della Pergola. It was built in 1656 under the direction of the architect Ferdinando Tacca and its inaugural production was the opera buffa, Il podestà di Colognole by Giovanni Andrea Moneglia. The theatre is now considered to be the oldest in Italy. 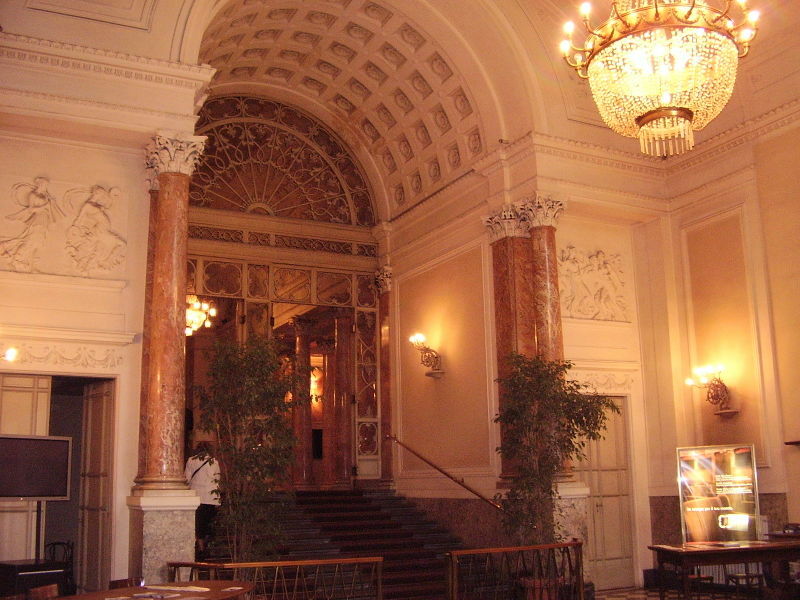 It has two auditoria, the Sala Grande, with 1,500 seats, and the Saloncino, a former ballroom located upstairs which has been used as a recital hall since 1804 and which seats 400. Primarily a court theatre used by the grand dukes of the age, it was only after 1718 that it was opened to the public. In this theatre the great operas of Mozart were heard for the first time in Italy, and Donizetti’s Parisina and Rosamunde d’Inghilterra, Verdi’s Macbeth (1847) and Mascagni’s Rantzau were given their premiere productions. By the nineteenth century, it was performing operas of the most well known composers of the day including Bellini and Donizetti. The Pergola's present appearance dates from the 1857 remodelling; it has the traditional horseshoe-shaped auditorium with three rings of boxes and topped with a gallery. It seats 1,000. It was declared a national monument in 1925 and has been restored at least twice. Today the theatre presents a broad range of about 250 drama productions each year, ranging from Molière to Neil Simon. Opera is only presented there during the annual Maggio Musicale Fiorentino.